As part of my fundraising strategy #SXSW #2019 i’m transporting conference speakers, corporate executives and attendees to events in downtown Austin where each ride fare will be donated to the TinyHackerHouse campaign. In 2018 @Atlassian sent out a role call for community leaders to launch a local Trello User Group. Orli and myself (Co-Leader) were selected to launch this initiative. Some videos of our Geodesic dome build. I’m helping my friend Jessica Lowry, who is hosting an awesome ‘Getting Unstuck’ retreat this June, for a group of people. Sign up now to save your spot. Highlights of SXSW 2018 @USMayors #Interactive #CitiesSummit #Film #Music #Create Content Lab - More updates to come (Editing in progress). Join us at the annual developer conference for Unity–the market leading platform for creating video games, simulations and other interactive 3D, 2D and VR/AR content. #Artists, #developers, #educators, #filmmakers, #researchers, #storytellers –anyone interested in or creating with Unity will gain valuable insight and inspiration at Unite Austin. The conference takes place at the Austin Convention Center located in downtown Austin, TX with the expo floor opening from 12-5pm on October 3rd followed by the Opening Keynote happening at 6pm. Two full days of breakouts and expo to follow on October 4th and 5th. This year #Buspreneurs crossed 7 states in 7 days! 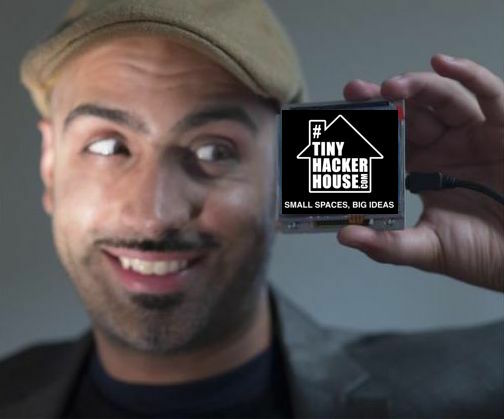 Along with mentoring teams, I launched the #TinyHackerHouse campaign. Hugh Forrest discusses Panelpicker application process, with some tips on what your up against, how to enter your application to get more votes and panel vs solo presentations. Jump on a bus, conceive, build and launch a startup with a team of strangers in 72 hours at 70 mph! This Summer the best and the brightest will come together to compete in StartupBus Americas 8, the continent’s most epic competition – combing the magic of a hackathon and a road trip to create the ultimate adventure on wheels. We’ll be hitting all the raddest hot spots and tech shops as we make our way to down to New Orleans, where buses from 2 countries will converge in the quest for StartupBus glory. Maker Faire Austin will host over 200 makers from Texas and beyond at the Palmer Events Center (900 Barton Springs Rd, Austin, TX 78704) on Saturday, May 13 and Sunday, May 14, from 10:00 a.m. to 6:00 p.m.
With over 11,000 tech enthusiasts, crafters, educators, tinkerers, food artisans, hobbyists, engineers, artists, students, and general curiosity-seekers in attendance in 2016, this event is one of nineteen featured Faires across the world being produced in collaboration with Maker Faire . Here's a quick recap of our #WorldCreateDay #Austin #Community #2017 event this weekend. Excited to be spearheading #Austin in this years #WorldCreateDay #2017 #Hackaday. I'm super excited to announce that project TinyHackerHouse has entered this years 2017 Hackaday Prize Challenge. This years #HackadayPrize offers $250,000 in cash prizes for ideas that change the world. And we're off to a racing start with 2,000 views and 800+ followers. We entered the competition 4 days ago and have currently raised $5 in the past 5 days to address affordable housing and building a community. My friends John, Anthony and I set up camp on the amphitheater stage where bands will be performing the following week. The theme of this hackathon was exploring innovations in #Music #VR #AR. Each team had 24 hours to build and demo their #Hack with an opportunity to win up to $10,000 in cash prizes. This weekend 3 teams were invited to participate in Global Service Jam. A 48 hour journey into conceptualizing an idea and creating a prototype. My team and I worked on an idea to help new people connect over fun new experiences. One of my challenges at Stanford was to connect with a celebrity, I reached out to Ashton Kutcher and we even organized a Music Hackathon at his space in LA. On October 23-25th 2015, my friends and I worked together to produce HackingEDU the largest Educational Hackathon event in San Mateo, CA. Students across the nation travelled to San Mateo,CA for a weekend of Hacking to build software and hardware projects to advance education. #HackForLA - A Civic Hackathon event allowing citizens to collaborate on technology projects that can solve problems in the local community. This weekend I won first place for designing a geolocation based mobile app that allows non-profits to connect to volunteers through SMS messaging. During my time volunteering at Boys and Girls club, I worked with numerous underserved kids and also held a couple of workshops educating youth on design thinking, mobile application design, wireframing, prototyping and robotics. A proximity sensing robot using Arduino compatible board. A Wearable Watch designed using Solidworks and a 3d printer for prototype. I worked with two 12 year old hackers on an BioMetric Access Control panel with a touchscreen LCD for commercial buildings. The winning prize was a coffee bean scale which measures the right amount of coffee for industrial automation. It was exciting to put some of my Agile / Scrum team management principles into practice to manage multiple teams while simultaneously working on a project and coordinating the event. At my first Startup Weekend event, I designed an emergency response app and worked with my team of developers to demo our prototype. It allowed any user to report their GPS location and alert family members at the touch of a button. I decided to call it 912 Alerts. Because it's 1 step ahead of 911 given that we provide 2 critical pieces of information requested whenever someone reports an emergency. A 3D model to house the SiliconLabs Pulse Sensor designed for the wrist. SiLabs launched the BTLE sensor puck v2.0, I used it to prototype a music recommendation engine based on your heart-rate using Spotify API. When your heartrate is high, it recommends upbeat music, when it's low, it recommends calm soothing music and visa versa. 100+ Students gathered together to collaborate on Hack projects exploring Virtual Reality and Hardware Technologies. Through 6 years of Hacking and producing Hackathon events, We will be hosting Hackathons throughout the year for teams to collaborate and innovate. This is the first ever Bitcoin Hackathon in 2015, Austin TX, We worked on a Bitcoin rideshare service. This is Tom Soderstrom, CTO at JPL we discussed opportunities in Augmented Reality and his prototype of the Mars Rover ipad app.